I love finding practical and stylish solutions while decorating my own home, and while helping friends! 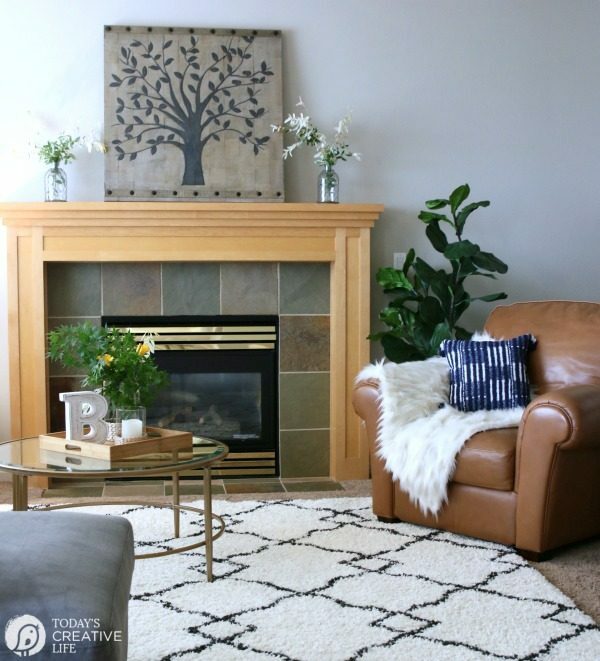 These decorating Family Room Ideas on a Budget are from the family room makeover I did for my girlfriend. 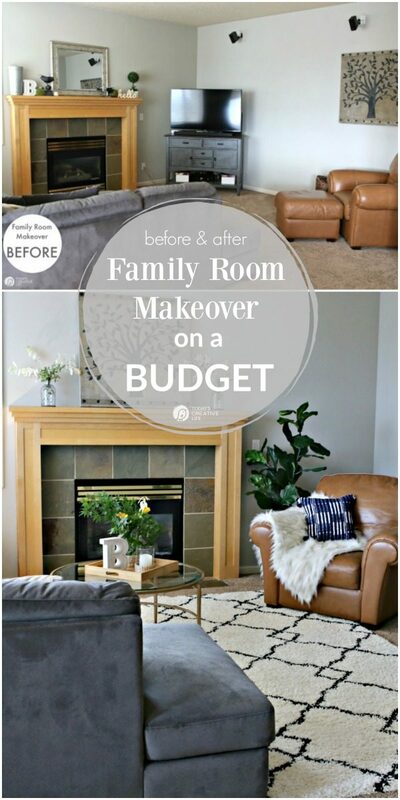 I love doing room makeovers for a quick refresh! 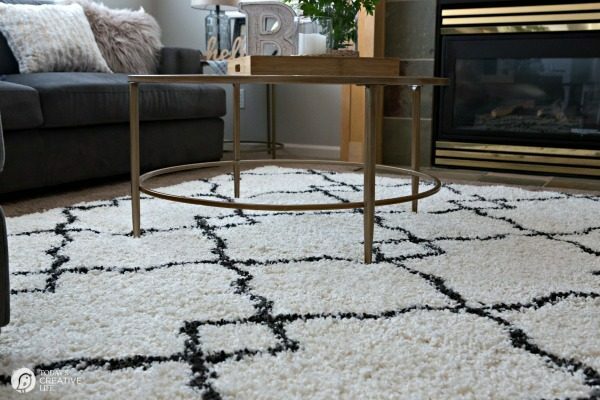 Last month I shared Living Room Ideas on a Budget for more easy and creative ways to decorate and you don’t want to miss my Budget Friendly Black & White Buffalo Check Laundry Room Makeover. 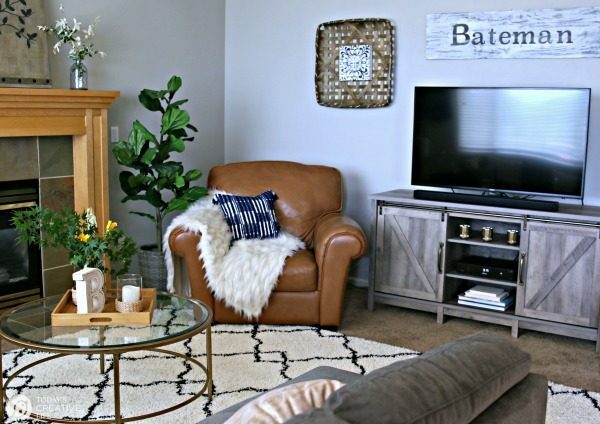 This room makeover is part of a monthly challenge as one of the Better Homes & Gardens Influencers. Although I am compensated for my time and materials, all opinions and ideas are 100% mine. She is planning a Graduation Party this month for her last baby girl and wanted a quick and inexpensive solution. Our goal was to make this room more inviting. 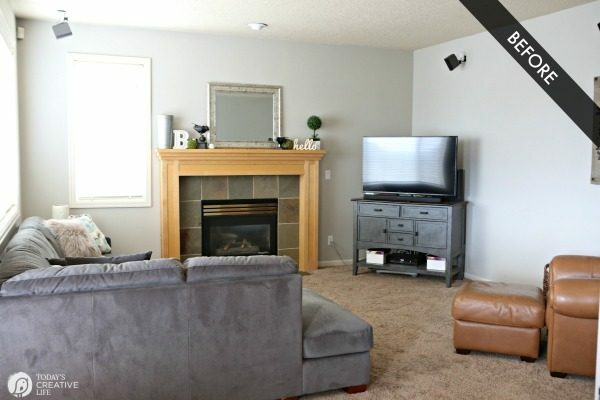 You can see in the BEFORE photos that it’s functional but lacks inspiration. There is a lot of brown going on and since those items are too expensive to change, we’re going to work around them. 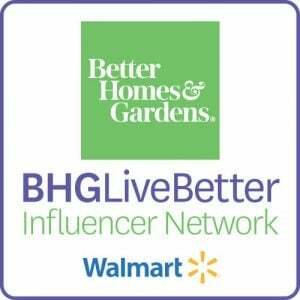 As one of the BHG Live Better Influencers with Better Homes & Gardens at Walmart, we were able to create a budget-friendly family room makeover, making the room much more comfortable and welcoming. I love how it turned out! Even my husband was impressed when I showed him the before and after photos! 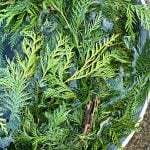 Many of these items, I have in my own home, which proves how versatile they are. 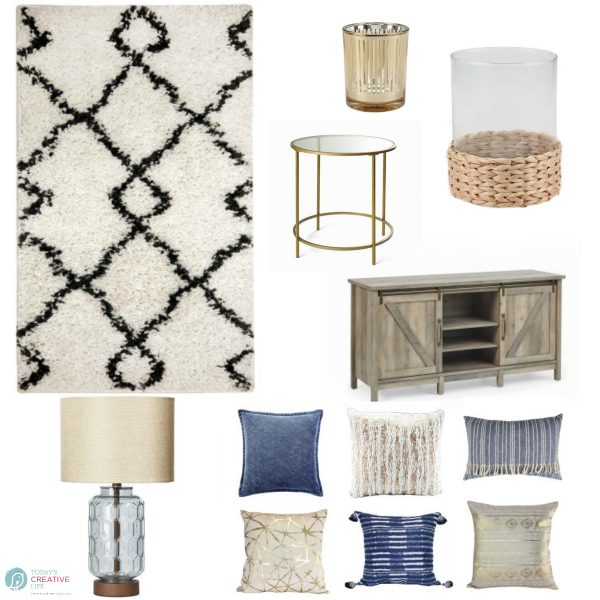 See my full shopping list at the bottom of this post for all the items I used for family room ideas on a budget. My girlfriend Anna and I go WAY back to our college days. 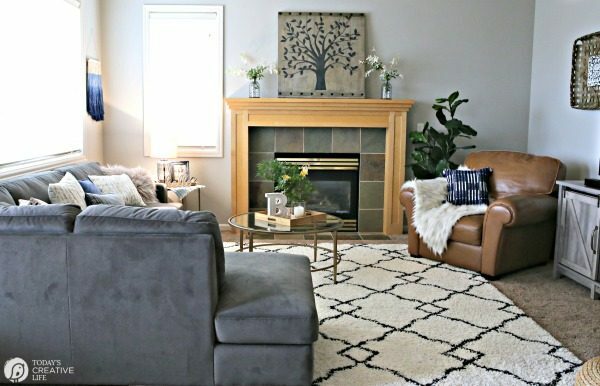 She’s a busy mom, an amazing photographer and someone who kept putting off redecorating her family room because of time and budget. 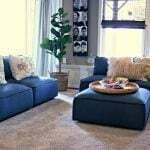 The thought of making over her family room became overwhelming because she kept focusing on the problem areas that are not a quick fix. Fireplace update – One of the biggest challenges is the color and tone of the mantle and tile, which both need to be updated from the late 90’s. Eventually, she will paint both, but that’s something that will take a bit more research and time. Because it also happens to be the main focal point of the room, we needed to neutralize the warm tones and take some of the attention away. 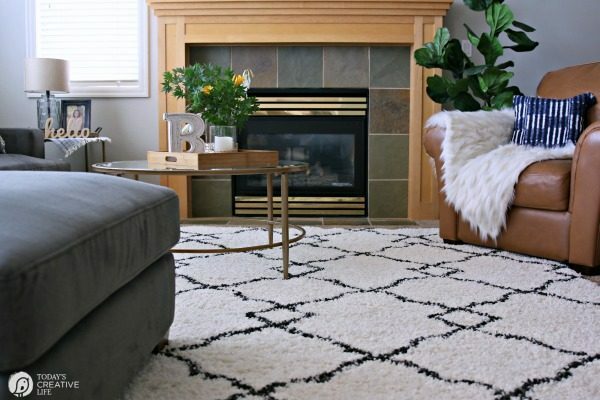 The light colored diamond area rug was a game changer for this family room! 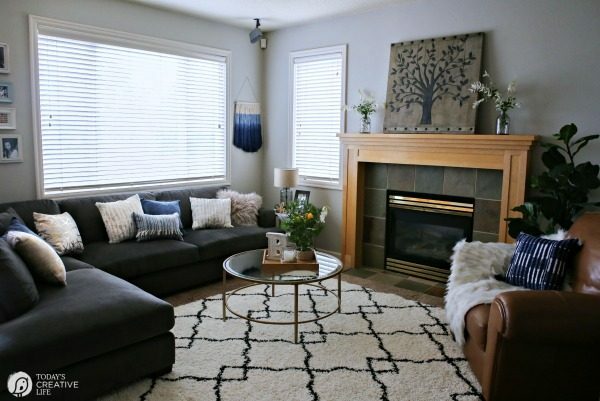 The change was instant and brought a much-needed balance to the family room. The fireplace no longer demands all the attention. 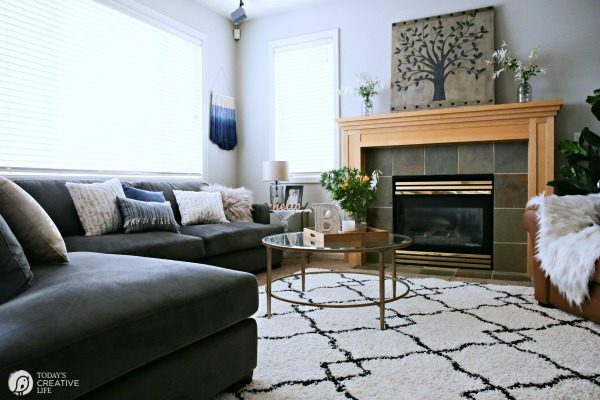 We cleared the mantle of all decor to create a less cluttered look. Then we borrowed something from the other wall to use as a statement piece along with symmetry items on each side to create balance. 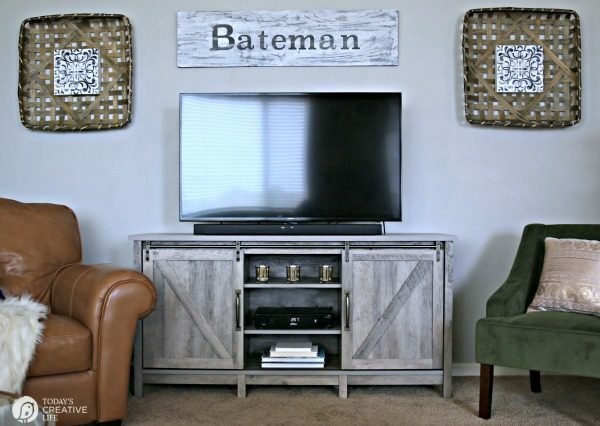 I am a huge fan of shopping your home and using items in a different room or in a different way. Doesn’t it look so much nicer? 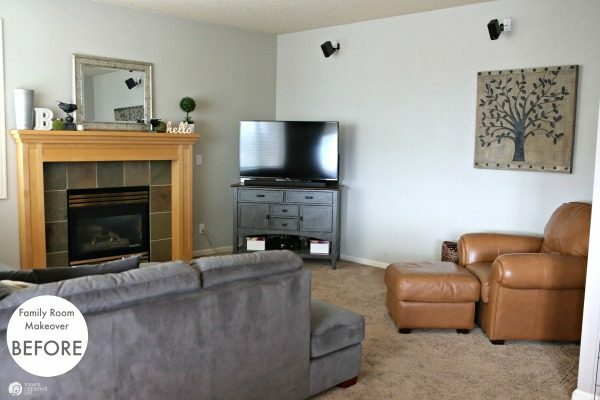 Oddly placed window – The window next to the fireplace throws off the balance of the room. It didn’t bother me as much as it has her. 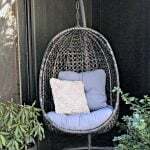 Placing the larger chair on the other side of the room, with the throw and brighter pillow seems to make the room more balanced. The cabinet she had is cute, but it’s much too small and tall for the television and room. By swapping out the cabinet for something lower and longer, we can now move it to the center of the wall bringing instant coziness. That large wall now has a purpose and is no longer an empty vacant space. 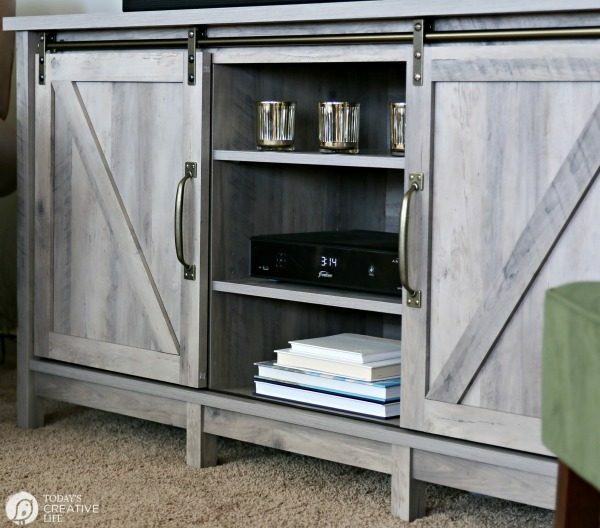 (See how I used the same farmhouse cabinet in my own home). 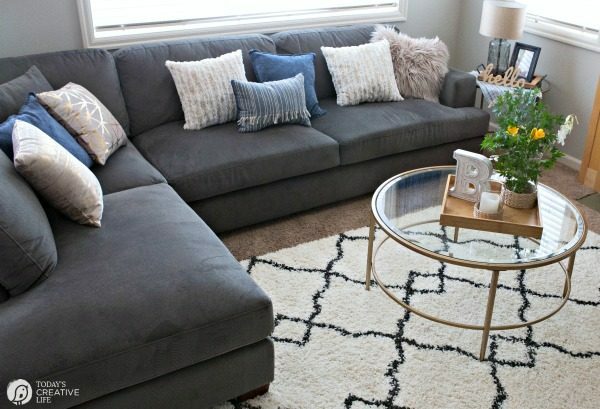 Large Furniture – This family rooms large sectional and large chair create a lot of much-needed seating options. 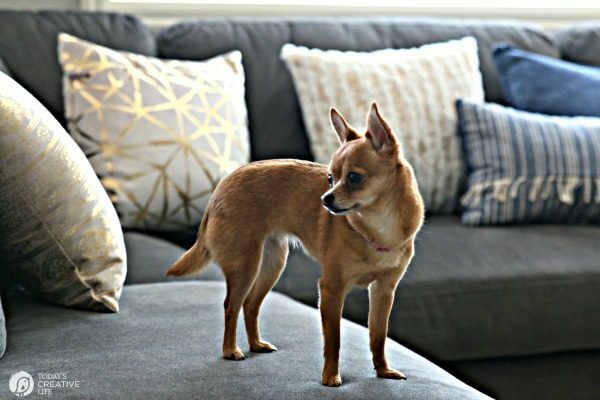 Because they are big pieces of furniture, they can also make the room feel heavy. 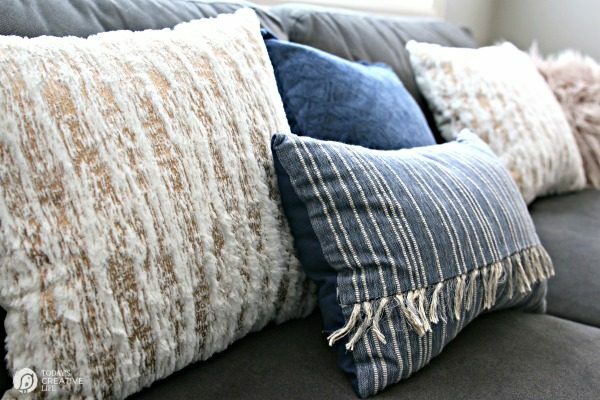 Adding pillows and throws in complementary colors will help soften the look. 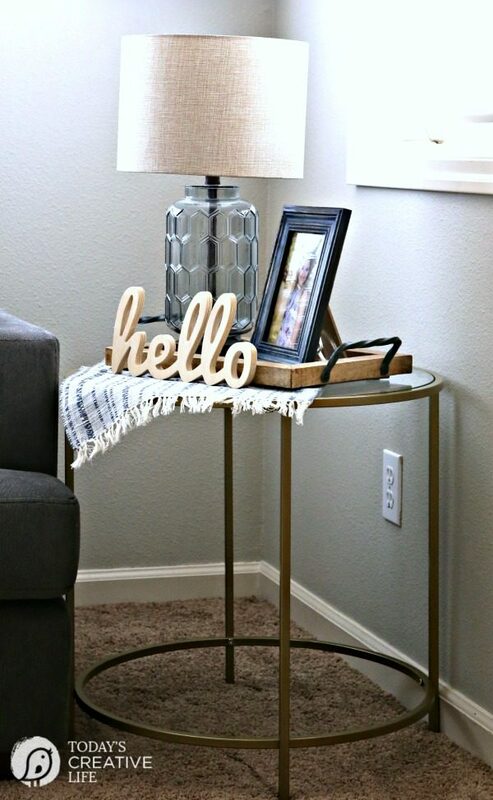 I also added a side table, a center coffee table and a lamp that have a much lighter feel. 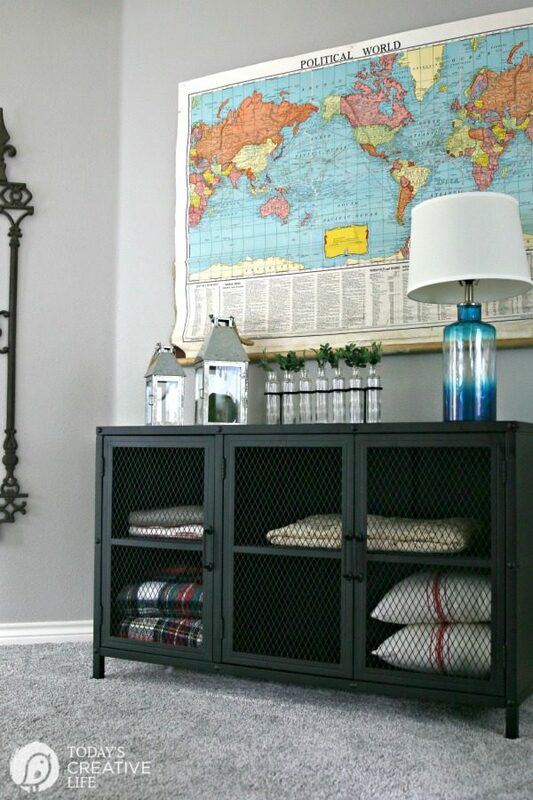 The see-through glass for all 3 items helps balance the heaviness of the furniture. 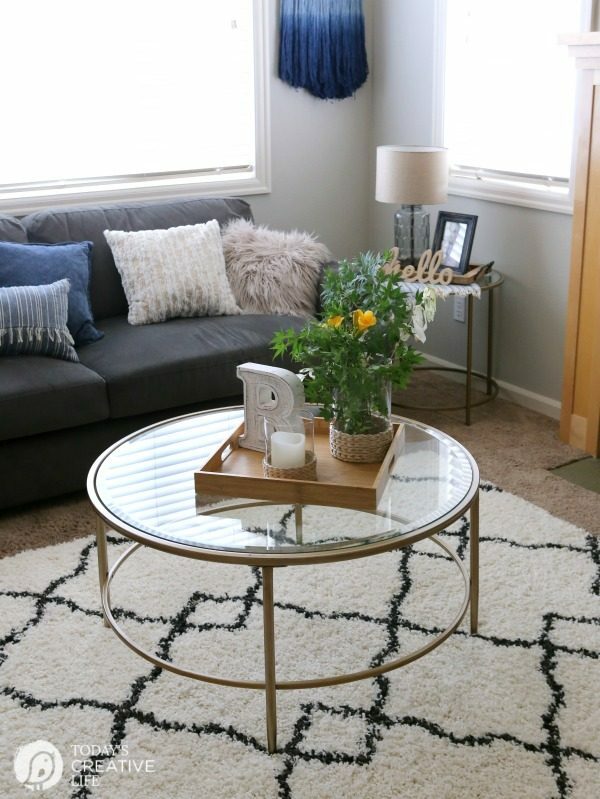 See the same tables in my living room makeover. 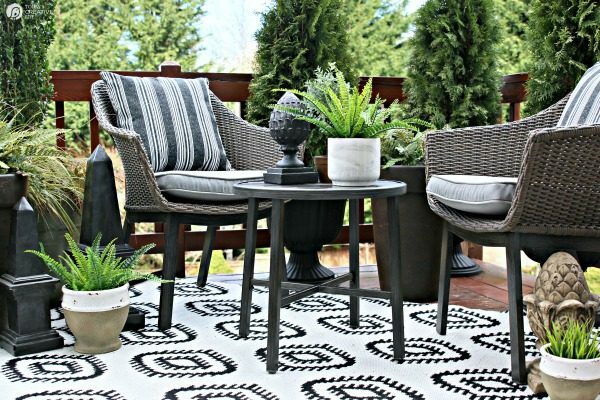 By adding a few budget-friendly BHG decorative elements, shopping your home and working with what you have, you can redesign any room in your home without spending a lot of money. 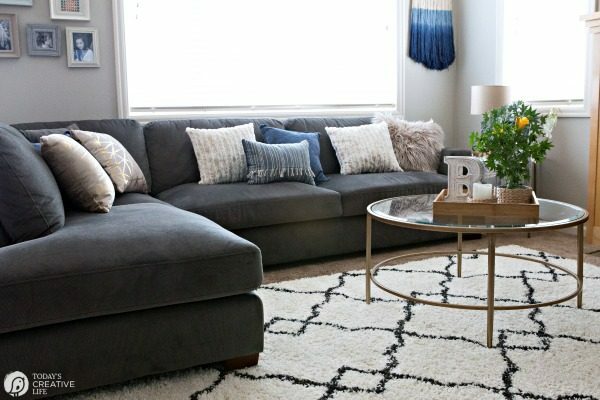 Family room ideas on a budget for decorating and updating a room doesn’t have to be as overwhelming as we make it. 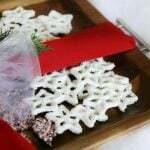 All other decorative items were handmade or already owned. 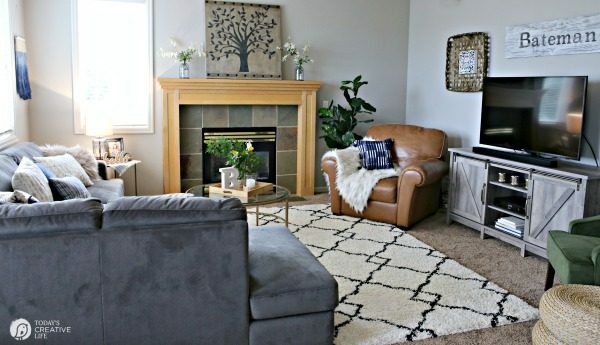 I hope I’ve inspired you to with these simple family room ideas on a budget. 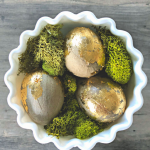 Get creative with your own ideas, or shop my list to duplicate what we did.